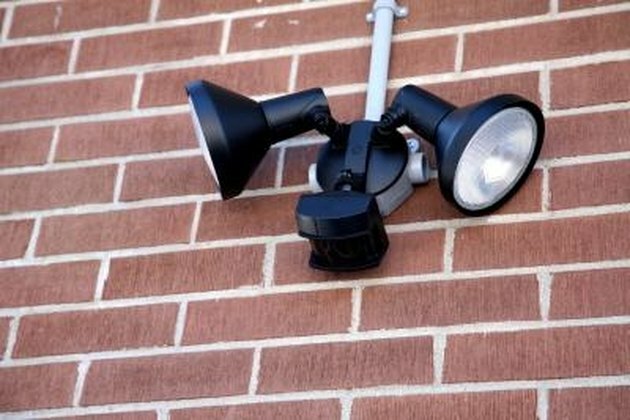 How Do I Turn On My Outdoor Motion Detector Flood Lights With a Wall Switch? Having motion detector flood lights on your house provides you with security lighting that only comes on when motion is sensed. If you do not have any additional outdoor lighting, motion lights can be an inconvenience. Having the flood lights connected to a wall switch can give you the ability to light your areas for a longer period of time. This saves you from having to install additional lighting. Turn on the lights from inside your house. Turn off the wall switch that controls the motion detector flood lights. Leave the motion detector wall switch off for one second. Turn the wall switch back on. The flood lights remain on until dawn, resetting themselves automatically to motion detection. Can I Put a Motion Detector in a Recessed Light?